BEIRUT: Lebanese across the country are being urged to donate blood Tuesday as civil society groups and hospitals gear up to commemorate World Blood Donor Day. Held annually on June 14, the occasion is used to highlight the importance of regular donation, which helps save millions of lives worldwide and thousands in Lebanon each month. Founded in 2007, the group – whose name translates as, “to give without getting anything in return” – works by connecting willing donors to medical centers with needy patients. It now has up to 12,000 donors in its bloodbank database, which provides around 460 successful platelet and blood matches every four weeks. “There are several scientific reasons for being a long-term donor and some studies show it can reduce your chances of cardiovascular disease by up to 30 percent and of certain blood cancers by up to 40 percent,” said Teyrouz. Bolstered by a large community of student donors, above the age of 18, the number of willing candidates has increased in recent years as more awareness-raising efforts take place on television, in classrooms and music and other festivals. “University students are undoubtedly our best clients,” said Hala Jabr, head of the Lebanese Red Cross blood donation unit, the Health Ministry’s official blood donation partner. 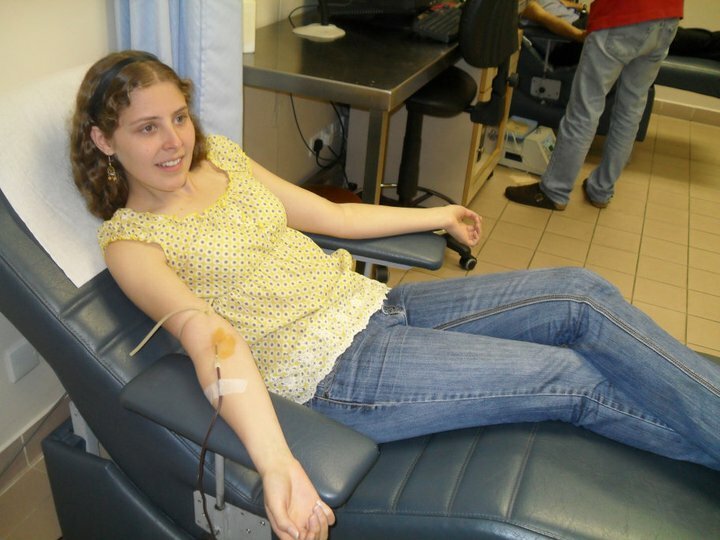 With over 2,000 registered donors and 11 blood donation centers, in addition to an ambulance that tours university campuses and Lebanese companies keen to push their employees to give, the organization boasts impressively high response times. But due to its dedication to retaining its internationally coveted standards, the LRC is sometimes forced to reject over 50 percent of potential donors for not meeting its tough safety criteria. With no national database and the country’s various hospitals relying on their own supplies, shortages do occur, especially for the rarer blood types, such as AB. 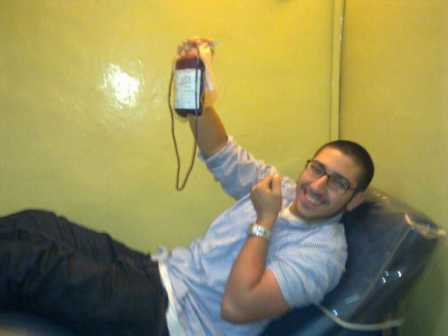 “We especially encourage all universal donors – those with O negative – to give, but there is a lack of almost all the blood types and we are seeing demand increasing so much that we really do need all possible blood donors,” said Teyrouz, who set up Donner Sang Compter after a friend’s grandfather died from failing to receive enough blood units. “More coordination between the various institutions dealing with blood donation is desperately needed if we are to increase the efficiency of the life-saving service,” he added. Red Cross activists have already started their month-long recruiting drive, while the American University Beirut Medical Center is also staging its widely advertised blood donation event Tuesday afternoon. 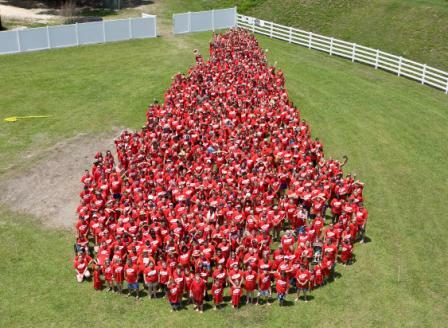 Donner Sang Compter, however, promises to out-stage all the other efforts on June 26 when it hopes to enter into the Guinness Book of Records for crafting the world’s largest drop of blood, made up of some 3,000 volunteers standing in formation. The previous record was made in Mexico by 1,051 volunteers.